There may be no sport with individual results as immeasurable as running. Sure there are winners but it is entirely possible that a person running in the back half of a field of thousands is performing better than they ever have. They could be in a state of euphoria, oblivious to finishing 673rd. Because running is, more often than not, a battle between you and yourself. I was lucky enough to experience this inner feeling of elation this week. Not only was it the best I have experienced since my running journey began, but it rated very favourably compared to all the sporting highs that I have been lucky enough to experience in my lifetime. 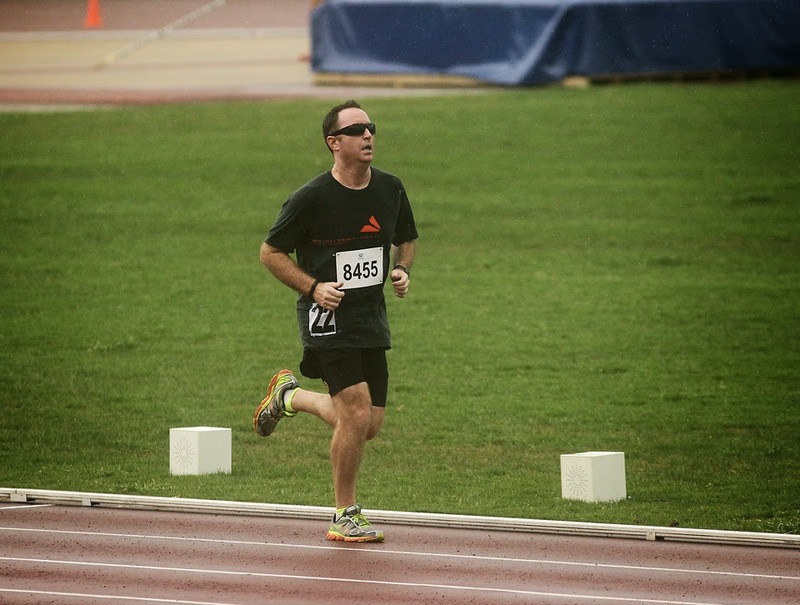 It occurred during the Run NSW 5000 metre track event that I took part in. Athletics New Sout Wales decided to invite community runners to run 5km as a part of the NSW All-comers state championships. The week leading up to this run had been a real slog. The return to shift work and training combination took some adjusting to. On my easy and tempo runs my legs felt like lead and my times reflected it. I was heading to the track run hoping to set a personal best and, if possible, break the 25-minute barrier. It was an evening meeting and I had started work at 3am that day before a quick nap and making the hour trek to the track. It was a nervous experience having to actually run in front of people as well as against people who were a lot quicker than me. I convinced myself that it was just me against myself and that I was the only one there. Always make yure you have fun! I intended to start the run fairly quickly to try and set up the sub-25 time. I not only did that, I ran the fastest kilometre of any 5km run I have done to date (4:33). I consolidated it by breaking 5 minutes again in the second kilometre (4:59). That allowed me around 28 seconds to lose over the final three kilometres in relation to a 5-minute split average. As has been the case regularly, my third and fourth kilometres were my worst (5:08 and 5:10) which is something that I am really working hard on at the moment. 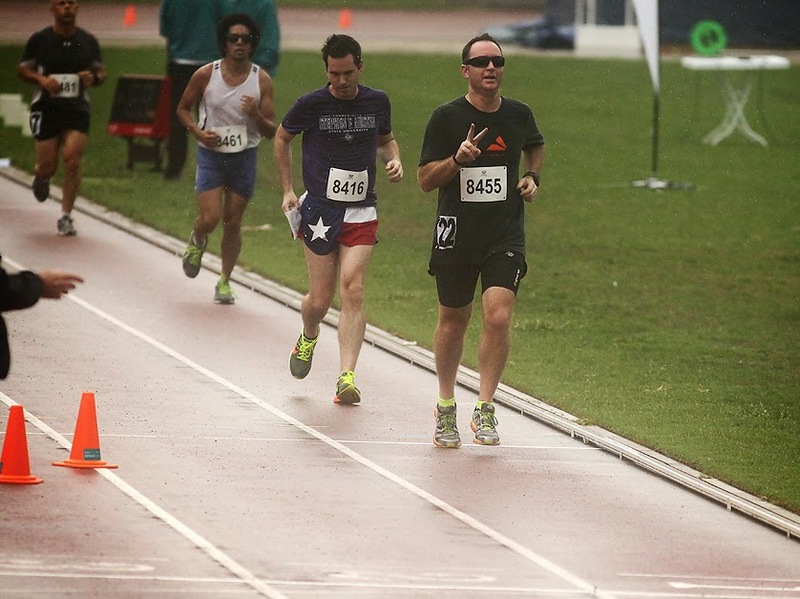 I finished the race off with a 4:52 which was highlighted by a good last 400m. At about the 200m mark I realised I was going to achieve my goal which is when the unexpected happened. I was overcome with adrenaline and euphoria like never before. It was a feeling I'll treasure and something that I hope to experience again. It was even better to be able to savour it whilst I was still running. This also meant that I had reached another goal that I had given myself a year to reach, it may be time to set a few more in that department. In finishing 18th of 22 runners, my final time was 24:47, I had ran a best 5km, 2 miles, 1 mile, 1km, half mile and 400m. It would be fair to say I was pleased. The next challenge will be to carve out that sort of time on a course which is not dead flat. Perhaps with a fresher lead-up on race day, it is achievable. I finished off the week with a long bike ride. I had recently purchased a new bike and was keen to incorporate it into my training. I plan to begin using it a bit more next week and, once this program is complete, possibly substitute one of the easy runs for a quality ride. Who knows, if I could pick up my swimming a bit, a short triathlon may not be out of the question. Running - 20.3km in 2:06 with an elevation of 141m. Cycling - 89.5km in 4:13 with an elevation of 788m.